Which are the Best Horror Books of all time? Most people like a good scare. Stories that get the adrenaline flowing have captivated us throughout much of recorded history, as dark and sinister legends are perhaps older than the written word. While many horror films rely on the element of surprise, with monsters jumping out from the shadows, books often offer a slower burn, one that’s oftentimes more terrifying. So if you like the thrill of wondering what’s lurking behind the shadows or making sounds in the night, we’ve got you covered with five of the best horror books of all time. Now, we’ve already covered the Best Stephen King books so that eliminates those from contention here. Certainly, The Shining and Misery (among others) would have been considered, as King is the modern master of the genre. And Dracula is so notable that it was featured in our Best Classic Literature list. But that still leaves us with five of the most truly terrifying and mesmerizing horrors books ever put to print. What horror books should you read if you haven’t done so already? One of the more frightening aspects of Mary Shelley’s classic mad science tale, Frankenstein, is that she got the idea from a dream and penned it at the tender age of 19. 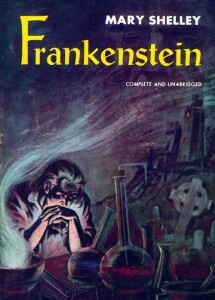 Cinematic adaptations have morphed the Frankenstein monster into the green, bolt-necked icon that’s deeply ingrained within our cultural consciousness today, so it’s easy to forget that Shelley’s classic focuses more on Dr. Frankenstein himself and his mad wonder at having created life only to be horrified with the monster he has unleashed upon the people close to him and the world at large. One of the most frightening horror films of all time was based on one of the most terrifying and suspenseful novels. Just as a Jesuit priest is having a crisis of faith, he’s called upon to tend to a girl who has been afflicted by some powerful diabolical force. 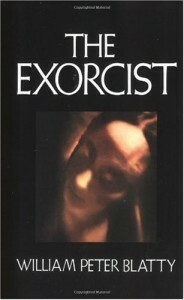 The priest initially only wants to treat her as psychiatrist, but soon the disturbing physical transformation leads him to believe she is in fact possessed by a demon. When a more qualified exorcist dies of a heart ailment while attempting to perform the rites, the protagonist priest is left to do battle with a demonic force that beyond his comprehension. It’s difficult to even imagine where the horror landscape would be today without 20th century scary story pioneer H. P. Lovecraft. 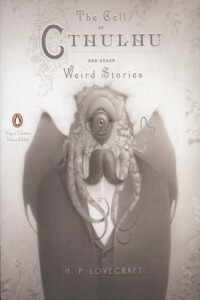 This anthology of some of his best and most unnerving short stories continues to influence the genre to this day. The titular story introduces the reader to the frighteningly enormous tentacle-faced beast of Cthulhu who slumbers at the bottom of the ocean for all time, destined only to emerge once the Earth reaches an apocalyptic age. However, a cult works feverishly to hasten his inevitable awakening. And that’s only one of the many spine-tinglers in this marvelous collection. 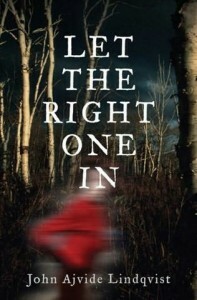 This Swedish vampire novel is both full of a mix of suspense and chills, and it also tugs at the heartstrings more than most horror stories are inclined to do. When the often bullied 12-year old Oskar befriends a strange neighbor girl, he doesn’t know how dangerous she is. Turns out the girl is a vampire, one who is eternally preserved in childlike form and whose adult guardian undertakes the grisly business of killing community members in order to harvest their blood so she can eat. Oskar’s bond with Eli grows, as does their co-dependence, which is both sweet and intensely ominous in its implications. 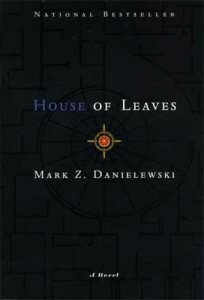 Much like the domicile in its title, House of Leaves is both agoraphobic and claustrophobic due to its bizarre and unsettling structure. Formatted with footnotes, shreds of documents, and strangely-shaped paragraphs and sentences that sometimes include only a few words on a page, this book details the supernatural dimensions of a room in a house that seem to go on infinitely into darkness. As the house’s occupants eventually explore the vast labyrinth of paranormal space, the sanity of all involved begins to unravel in this chilling and mesmerizing work of fiction.